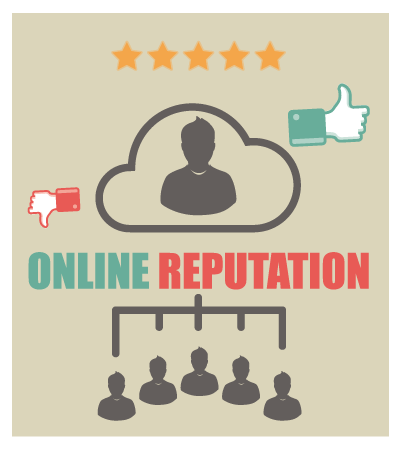 Maintaining your reputation online should be an essential part of every company’s marketing strategy. In Nielsen’s 2015 advertising study, they found that nearly 66% of people trust online reviews written by strangers. This can be a boon for business and gain you more sales, or it can wreak havoc and drastically cut your number of customers. That’s the power of reputation marketing, and it’s why it’s so important to actively maintain your brand’s perception online. In this article we’ll look at three things you can do right now to improve your brand’s online presence, and market your business more successfully. The first step in using reputation marketing to your advantage really doesn’t have much to do with marketing at all, it has everything to do with proper business management. In order to get five star reviews online, you need to earn them. That comes through great customer service, selling a good product, and offering a competitive price. For anyone managing a business, this won’t be anything new. However, the problem now is that if you don’t offer these services, the whole world is going to find out. That’s why it’s crucial to give customers a reason to leave a five star review. It’s also worth noting that paying for five star reviews is a terrible idea. If discovered, not only will it erode confidence in your business, but it could potentially get you banned from review sites like Yelp or Google Plus. You may encourage people to leave a review of your business, but you should read the rules of your preferred review sites to make sure you’re following all rules. No matter how awesome your business is, or how many people like it, there will always be some customers who go online and leave you a negative review. You should be prepared in advance for this, and have a procedure for handling the situation. You should reply to the comment directly and offer your opinion on what happened. However, it’s crucial that you don’t attack the person or say anything that you may regret later on. Once something is on the internet, it stays on the internet. The good news is that by handling poor reviews in a professional and courteous way, you can actually increase customer’s perception of your business. In fact, if your true customers appreciate your business enough, they may even defend you on review sites. That looks fantastic to people appraising your business online, and it’s one way that proper reputation marketing can help to boost sales. If you have a great reputation online, don’t let it go to waste. Actively use that reputation to market yourself to potential customers. Many sites like Yelp and Google Plus will allow you to place reviews directly onto your website, which can be a powerful selling tool. Remember what we said in the beginning of this article, two out of three people trust online reviews written by people they’ve never met. Showing website visitors your high rating is an extremely cost effective way to market your business, and increase the number of sales that you’re making. Used correctly, reputation marketing is a powerful and inexpensive way to help you gain new customers.